Adidas Originals has today introduced an all new ZX model, dubbed the ZX 10000C, which will make its retail debut on February 23. According to Adidas, the ZX 10000C, retailing for $160, diverges from the usual Adidas Consortium way of working, in that it was created in-house by Adidas. The final outcome was only made possible – and elevated to such great heights – due to the input of former adidas Director of Footwear Creation, Jacques Chassaing. 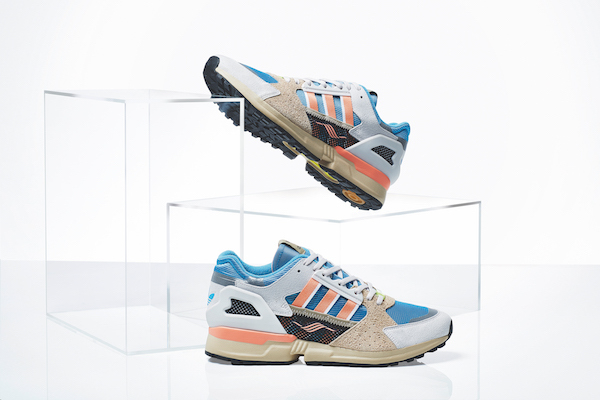 Chassaing is the designer responsible for the ZX running shoe series, which utilized an equally enduring technology also designed by Jacques, the Adidas Torsion system. "The ZX 10000C is the long awaited answer to many collectors question ‘what happened after ZX 9000?’ The ZX 10000 C retains the Torsion system that remains a proud part of adidas’ performance capabilities to this day, in a shoe that at first glance reads like a never before seen model from the original ZX archives that has only just been unearthed. Its aqua, orange and neutral coloring inspires nostalgia for a very specific era of performance footwear, utilized across a diverse blend of natural and technical fabrications that include mesh underlays, webbed Three Stripes, premium suede overlays and reinforced TPU on the ghilly and heel." 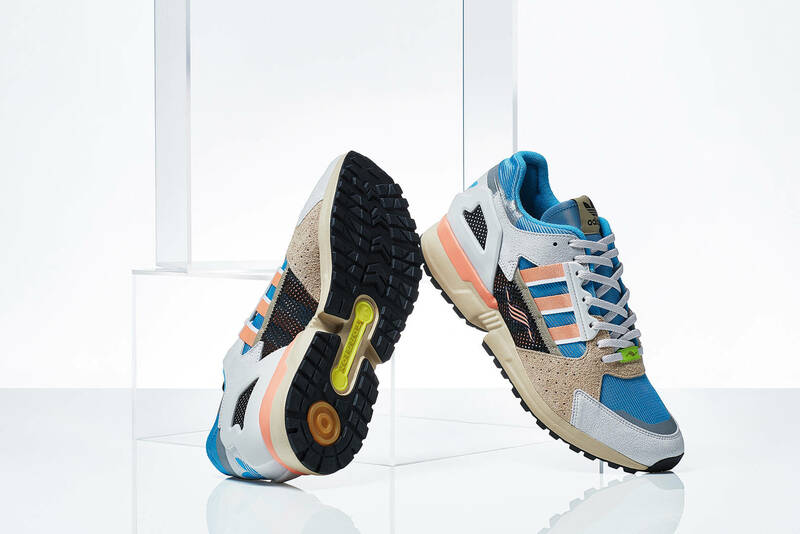 Adidas Consortium ZX 10000C will be available for purchase on February 23 for $159.95.